This level has medium difficulty. For this level try to play more from top part of the table and make special candy as you get the chance. Try to combine purple candies and make special candy from it to get more special candy to spread the Jam. Or play near to Jam candy to spread them everywhere. Not fun any more. Days on end and not even close. this is kind of bs. 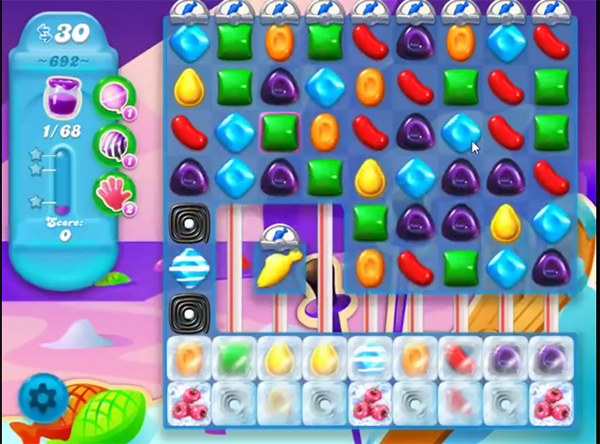 they show a board that continually gets the purple candies, but when you are playing the game, this does not happen. Totally agree this level is awful. Weeks on end and nothing. You do not get enough purple candies to do as the guide shows. This level is the reason i have deleted candy crush from my pad. This is a horrible level! Been playing for a couple of weeks and never even get close! Impossible! Your video makes this level look disgustingly easy. It begs the question of how many videos did you make to show you successfully completing the level?